The SOCHI Olympics 2014 has started and I don't know about you, but I thought the opening ceremony was beautiful despite the few minor errors that occurred. It was still beautiful and nice to watch. We celebrated the opening ceremony over at my in laws and while they provided dinner, pizza and fries, we provided some snacks to munch on thanks to Lesley Stowe. Did you know that this year they are debuting Women's Ski Jump for the first time this year and that Lesley Stowe is the lead sponsor in the Canadian Women's Ski Jumping Team? How awesome is that going to be to watch?! I'm super excited and can't wait. 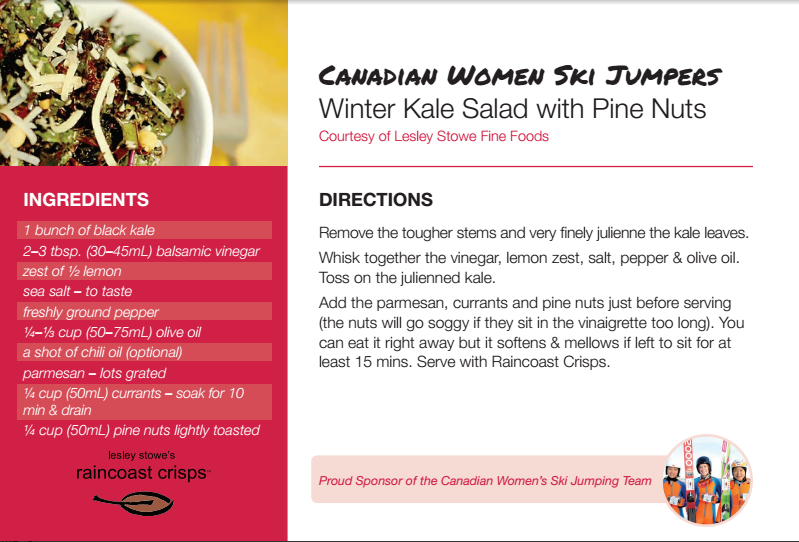 In celebration of Lesley Stowe and the Women's Ski Jump Team, we not only have a great giveaway for you, but we also have a delicious recipe listed below inspired by the Women's Ski Jump Team that you can try and serve to your friends and family when hosting a party or get together for the Olympics. Along with being a sponsor for the Canadian Women's Ski Jump Team, Lesley Stowe is also willing to contribute $1 (max $5,000) to the team for every message shared on their Facebook and Twitter pages wishing the team good luck. So be sure to head on over there to show your support and wish the ladies luck! 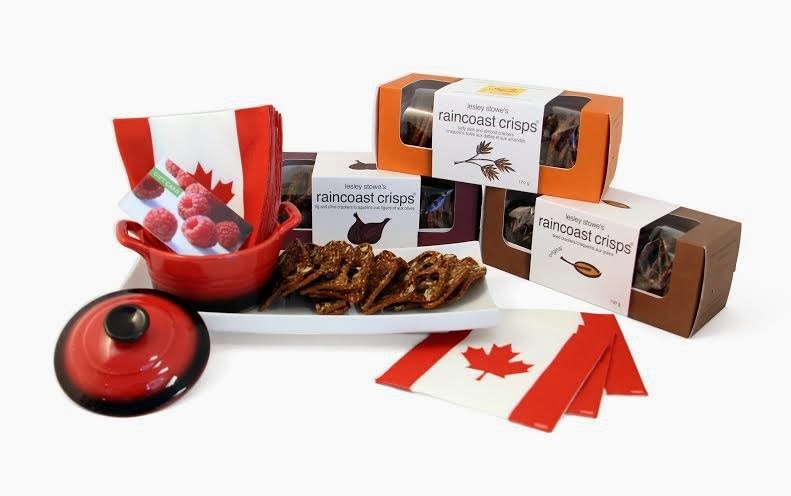 As for the giveaway, one lucky Canadian reader of Just Us Girls will get to win a prize pack from Lesly Stowe retailing at $75 that includes a few boxes of their delicious Raincoast Crisps, party tray, mini pot that holds dip, Canadian inspired napkins and a gift card to Sobey's to get all the other ingredients and items you need to host your Olympic viewing party!